The besom is the traditional witch's broom. 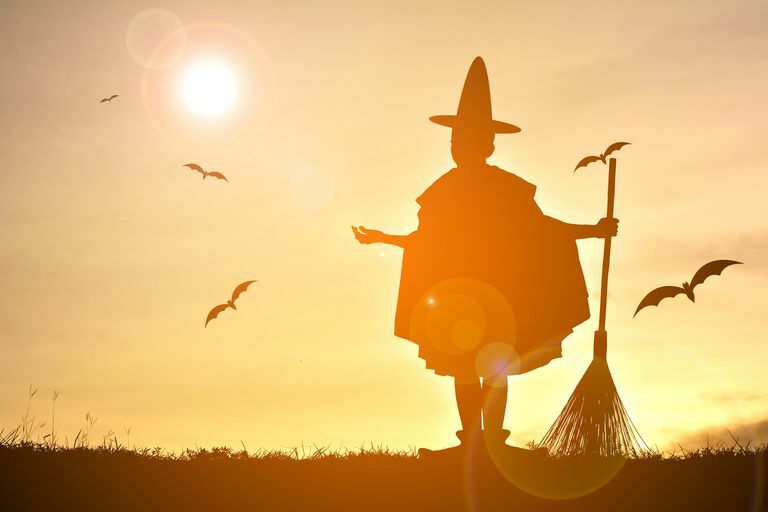 It's associated with all kinds of legend and folklore, including the popular notion that witches fly around in the night on a broomstick. In addition to being good for playing Quidditch, the besom is a great addition to your collection of magical tools. In many traditions of witchcraft, the besom is used for sweeping a ceremonial area out before ritual. A light sweeping does more than clean the physical space — it also clears out negative energies that may have accumulated in the area since the last cleaning. The broom is a purifier, so it is connected to the element of Water in some magical traditions, but others associate it with Air. It is not uncommon to meet witches who have broom collections, and it is fairly easy to make your own besom if you don't wish to buy one. The traditional magical formula includes a bundle of birch twigs, a staff of ash or oak, and a binding made from willow wands. Along with the popularity of handfasting ceremonies, there has been a resurgence in interest among Pagans and Wiccans in the idea of a "besom wedding." This is a ceremony also referred to as "jumping the broom." Although typically this is seen as a custom derived from the slave culture of the American south, there is also evidence that besom weddings took place in some parts of the British Isles. "The first official documentation that records a person flying on a broomstick is from 1453, from a confession by witch Guillaume Edelin. There were earlier recordings of witches flying on different sticks – walking sticks, tree limbs, etc. This probably came from agrarian fertility rites when pagans were riding their besoms (hobby horse style) and jumping with them, to show how high the crops would grow. Ancient besoms have been discovered with hidden compartments in the handle, to hold herbs, oils, and feathers (items for rituals/spells). Some people say the handles of the besoms were coated with flying ointment." In the Appalachian region of the United States, many folkloric practices were brought over from Scotland, England, and Ireland. It is believed that laying a broom across your doorstep will keep witches out of your house. However, be careful–if a girl steps over a broom by accident, she’ll end up becoming a mother before she gets married; this belief may have originated in Yorkshire, as there are similar warnings in that area. You'll also need heavy-duty scissors and a bucket of warm water. Whatever you'll be using for the bristles–whether it's birch, an herb, or some other wood–should be soaked in the warm water overnight to make them pliable, as should the willow binding, if you're using it. Lay the handle on a table or the floor, and place the bristles alongside it, lined up about four inches from the bottom. Point the bottom of the bristles towards the top of the broom, because you're going to flip the bristles in a minute. Use the willow branches or cording to wrap the bristles around the broom. Add as many as you want to make the broom full. Make sure you tie the cording off securely so your bristles don't come popping out later. Now, take the bristles and fold them down over the willow binding or cording so that they're pointing towards the bottom of the broom. Tie them down again at the base of the broomstick to secure them. As you're wrapping the cord in place, visualize your intent for this besom. Will it be strictly decorative? Are you going to hang it in place over a door? Perhaps you'll use it ceremonially, or maybe even for physical cleaning. Focus on what you're going to be doing it, and charge it with energy. Make your broom as fancy or simple as you like - the possibilities are endless! While you're probably not going to be flying around on your broom, don't worry–it's got a lot of magical possibilities. Use it to sweep around your home in spells related to eliminating negative energies. Use it in ritual to direct energy, much like a wand, or to symbolize the element of Air. Stand it upright by your door, or hang it over your hearth, to keep away those who might do you harm. Tuck it under your bed at night to keep bad dreams away while you sleep. Let your broom dry for a day or two, and when it's all done, consecrate it as one of your magical tools.